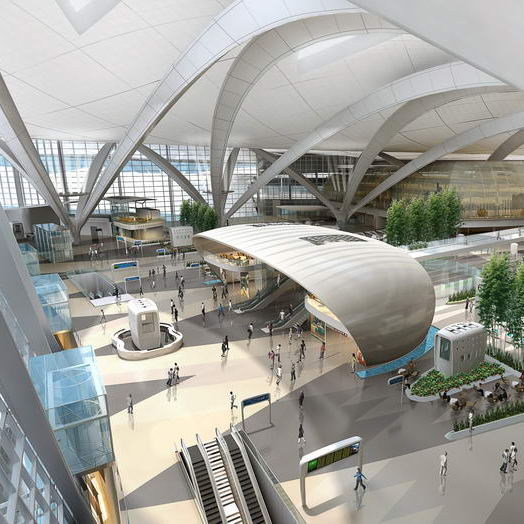 Midfield Terminal building sets new trends in airport architecture, smart technology and passenger experience. 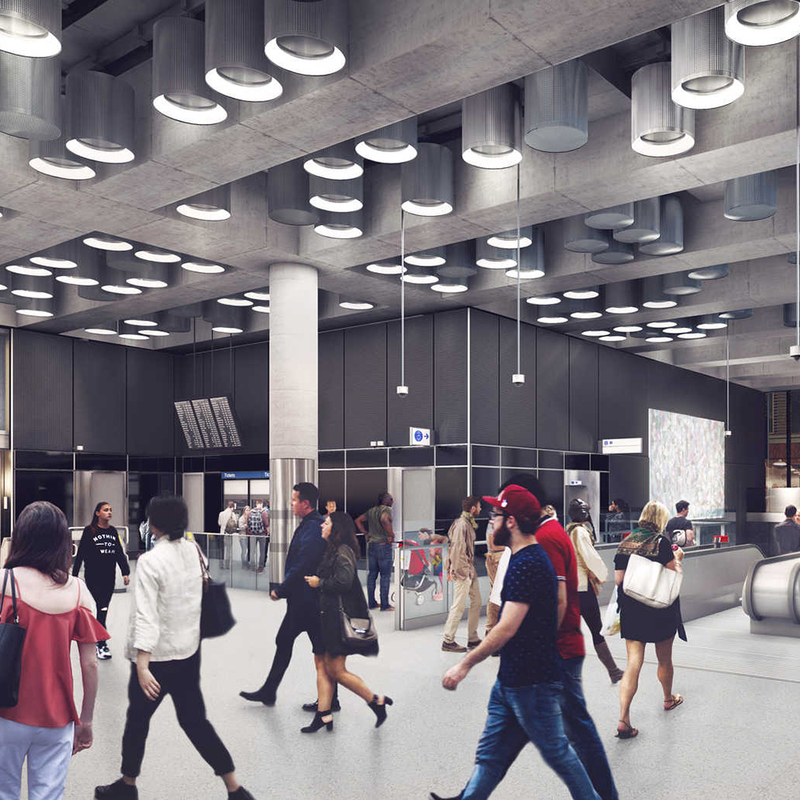 Delmatic are supplying a site-wide, open-protocol DALI, LON and BACnet system which manages and monitors lighting across the entire 700,000 sq.m project. A Delmatic open protocol LON, DALI and BACnet lighting management system is being installed throughout the 700,000 sq.m midfield terminal building – one of the largest buildings in the world. The system controls, monitors and manages lighting throughout front of house and back of house areas, and integrates seamlessly with the central battery network to monitor the performance of the emergency lighting and central batteries in real time. The lighting management system is the largest DALI installation in the world and combines DALI Buswire, Broadcast and Plug-in technologies with an array of DALI sensors and local control devices. The system optimises energy efficiency through a combination of daylight-linked and occupancy-based control while lighting scenes activate automatically at scheduled times, via solar controller and via presence and photocell sensors. The complete installation is managed and monitored across the IP network using animated graphical software and the system integrates with other airport services to optimise energy and operational efficiency. status is combined with battery voltage monitoring data to provide a comprehensive monitoring solution for emergency lighting. 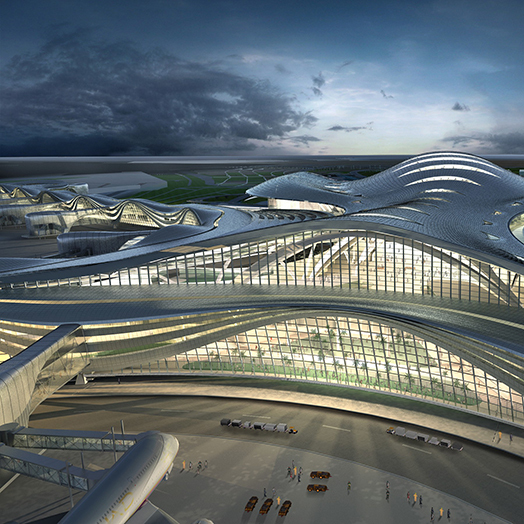 The Terminal is designed to minimise its impact on the environment. Major reductions in energy consumption are achieved through a climate-responsive building façade, smart systems and services, and advanced energy measurement and targeting which monitors and analyses energy performance. 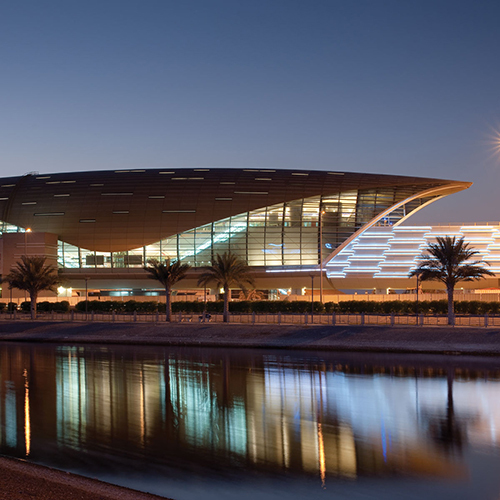 The Terminal has received an Estidama 3 Pearl Rating making it the highest rated airport terminal in the GCC and the largest singular building ever to be rated globally. 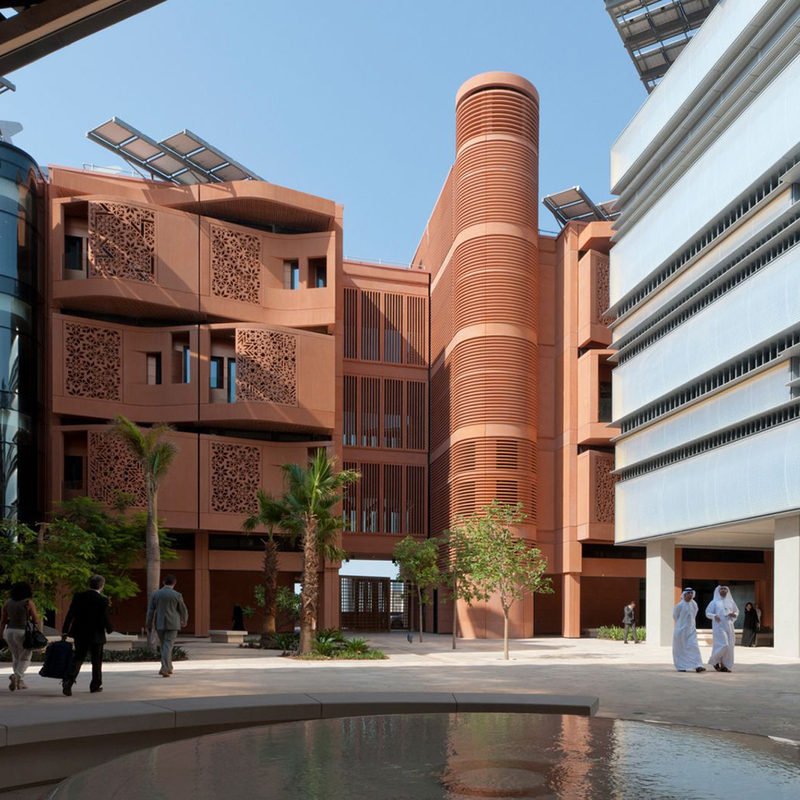 The project team worked closely with Masdar, whose zero-carbon city and Masdar Institute (also equipped with Delmatic DALI systems) are located adjacent to the airport.